MMB is distinguished by the French Entreprise du Patrimoine Vivant (Living Heritage Company) label since January 2018. An acknowledgment of talents, this label is awarded to French companies with rare, excellent and traditionnel know-how, that contribute to maintain “made in France” high-quality production. The EPV label is a sign of the successful transformation undertaken by MMB to combine traditional craftsmanship with new industrial technologies. MMB is a highlight at the heart of the glass manufacturing industry, at the center of the Glass Valley. 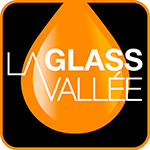 The Glass Valley is today’s global center for luxury perfume bottling, with about 70% market share, as well as a major region for spirit and pharmaceutical bottling. Foundries, mold makers, glass manufactures and decorators, creative craftsmen … The Glass Valley brings 70 companies employing about 7 000 people together. 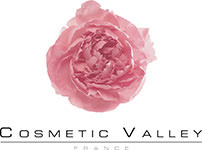 MMB is a member of the world’s first resource center for perfume & cosmetics, which is the French competitive cluster called Cosmetic Valley. This entity aims at supporting the perfume and cosmetics industry on French territory. The Cosmetic Valley gathers a wide network of companies (500 SMEs), research and training centers around innovation partnerships and common goals of winning foreign markets. In all it, it works towards the international success of “made in France” luxury goods. MMB seeks opportunities in the cluster to join packaging innovation projects as well as partnerships in order to answer complete product development projects. The ISO 9001 certification defines management systems criteria. These norms derive from several principles for quality management, e.g., Customer orientation, leadership motivation and commitment, process approach and continuous improvement. This certification ultimately ensures that quality requirements for products and services are met in order to serve customers reliably.